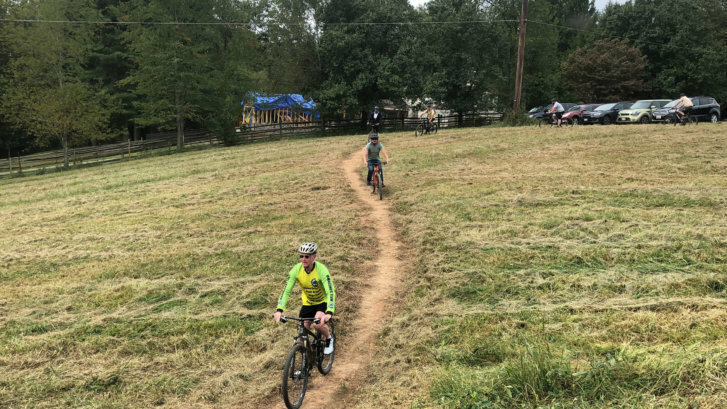 The narrow trail, which connects the Muddy Branch Stream Valley to South Germantown Recreational Park, is the culmination of years of planning between Montgomery County and Pepco. NORTH POTOMAC, Md. — A new trail in Montgomery County offers six miles of hills and turns for off-road cyclists. The trail is unique because, instead of running through trees and brush, it stretches through clear-cut land sitting underneath high-voltage power lines. The narrow trail, which connects the Muddy Branch Stream Valley to South Germantown Recreational Park, is the culmination of years planning between Montgomery County and electricity provider Pepco. “We’re very, very excited to be partners with Montgomery County, to actually be able to open this off road trial for the residents of the county to use,” said David Velazquez, president and CEO of Pepco Holdings. Montgomery County Planning Board Chair Casey Anderson said he was concerned the project would be doomed after Pepco announced it would merge with Exelon, but the utility company went forward with the project. “It’s great to see all that work and all those years finally get done,” Anderson said. Anderson said the county isn’t usually afforded the luxury of is acquiring new land for recreational use. He hopes to see more projects in which the county cooperates with utility companies and other private land owners, who are willing to open up their land to the public. “We have got to figure ways to do this kind of thing in the future,” Anderson said. Also taking part in an inaugural ride down the trail on Friday was Montgomery County Council member Craig Rice. “To see something like this, utilizing this space for a common good that’s gonna help the majority of our residents, get them out and be healthy, and live healthy lifestyles is such a great thing,” Rice said. Dave Scull, of Rockville, who brought his bike down to try out the trail, called the new path a great addition to the county’s trail system. “It’s open; it’s not through trees and thistles — so it’s easier than a lot of off-road rides,” said Scull. The trail was built and will be patrolled by the Montgomery County Parks Department, and will be maintained by the Mid-Atlantic Off-Road Enthusiasts.